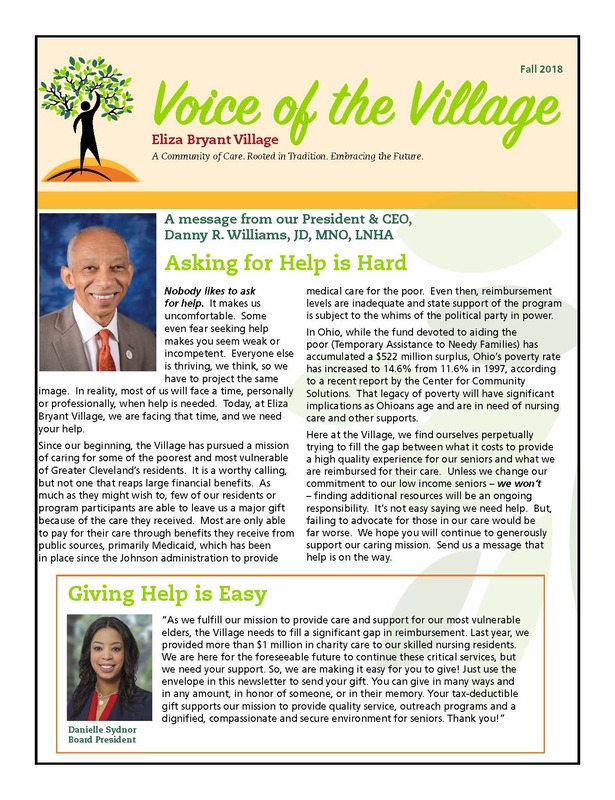 Eliza Bryant Village is pleased to present the newest edition of the “Voice of The Village” newsletter! 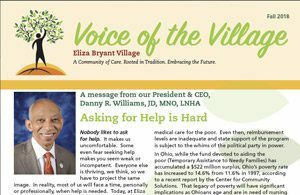 We encourage you to read about recent updates at The Village including new programs and Board members, get to know a few of our wonderful seniors, join us in recognizing and celebrating staff accomplishments, and more! A fun word search puzzle!